Raith Rovers manager John McGlynn said he was 'proud' of the performance at Hampden. 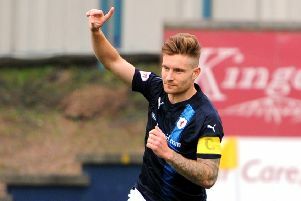 Meanwhile, Queen's Park boss Mark Roberts admitted Raith's quality up front was the difference. Listen to the post-match audio with the manager's above.